Madison loves US history and World history, and even though Texas history is still US history, she has not really been interested in learning all of it in depth. 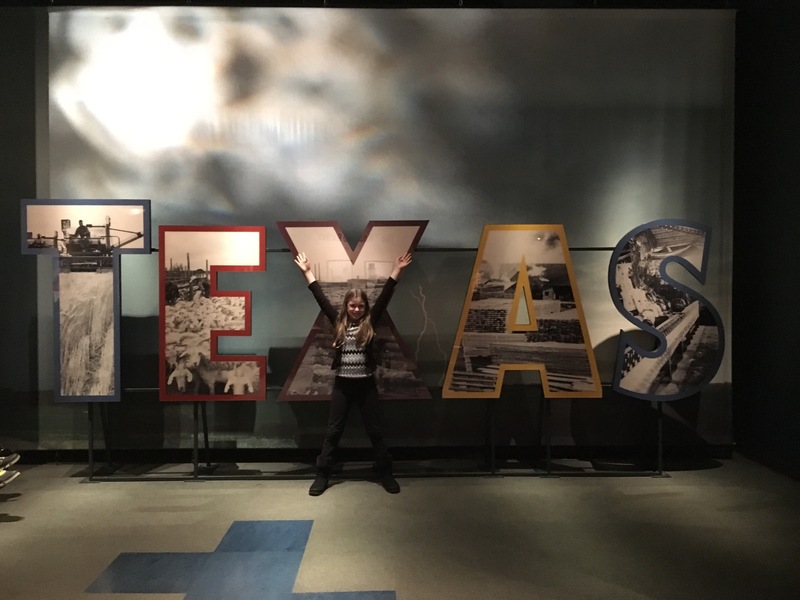 So when we decided to go to Austin, TX for a couple of days I thought it would be the perfect opportunity to learn Texas history at the Bullock Museum. 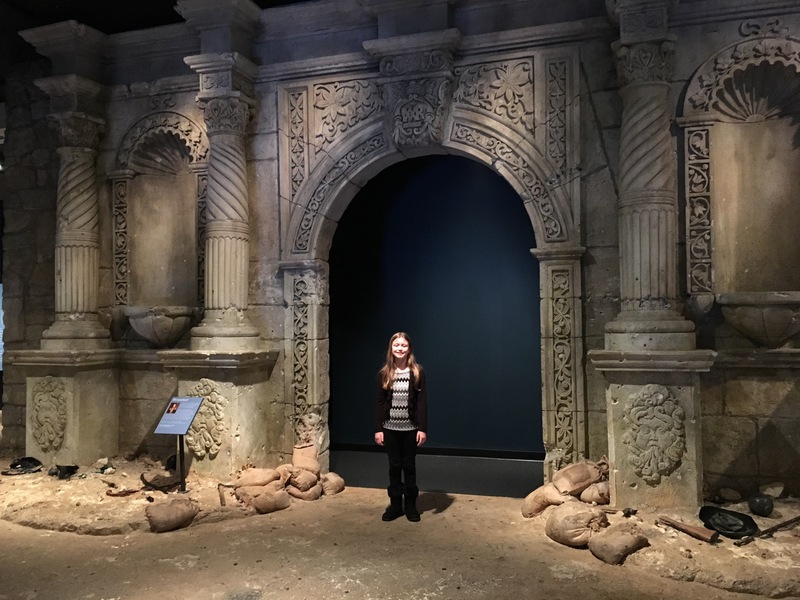 Madison loves museums, so I figured we’d give it a shot and it was a homeschool win! I LOVED that museum was arranged in chronological order by floor. 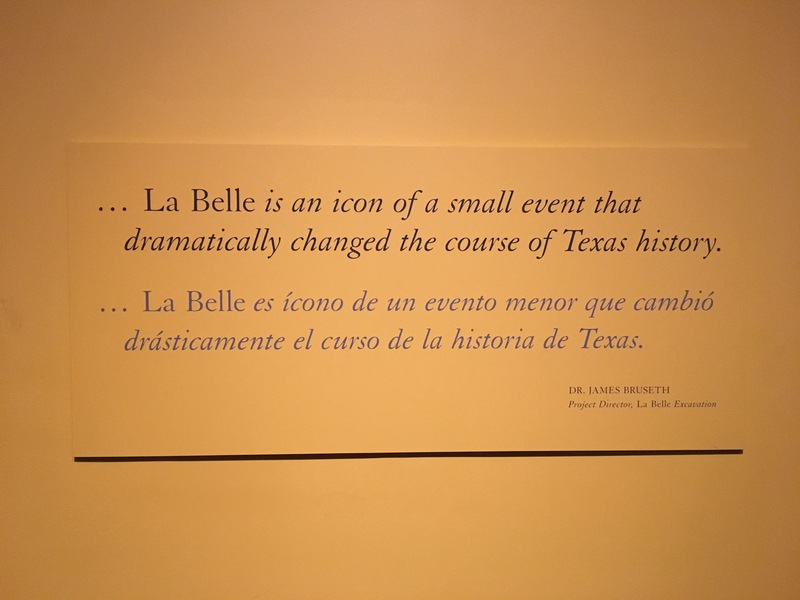 We started out on the first floor with an exhibit on La Belle, the ship that changed history. 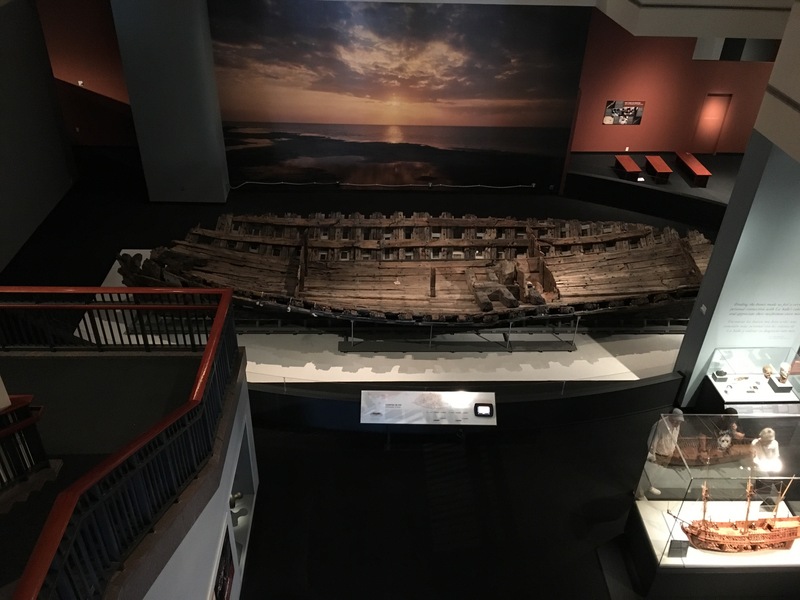 La Belle is the oldest and most comprehensive shipwreck in United States history and it was recovered off of the Texas coast. Click the link below for more details on this amazing discovery. 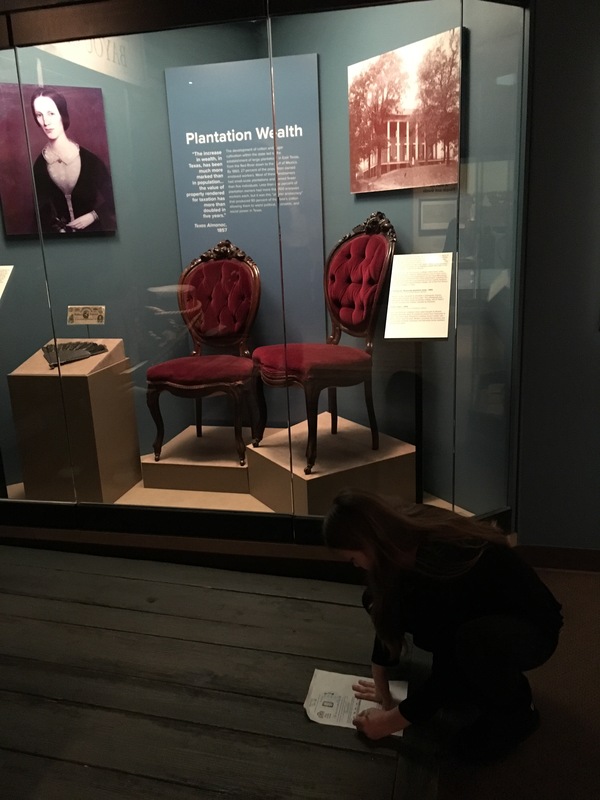 Before we arrived I downloaded the student activity guides that go with the museum’s exhibits so that Madison could fill them in as we went along. 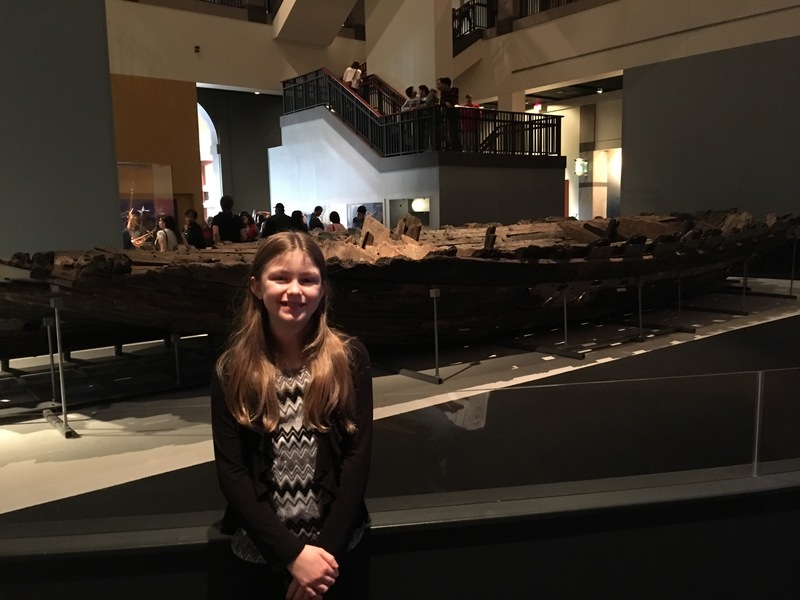 Madison enjoyed looking at the artifacts from the ship that were on display, labeling them and deciding if they were brought on the ship to use or to trade. 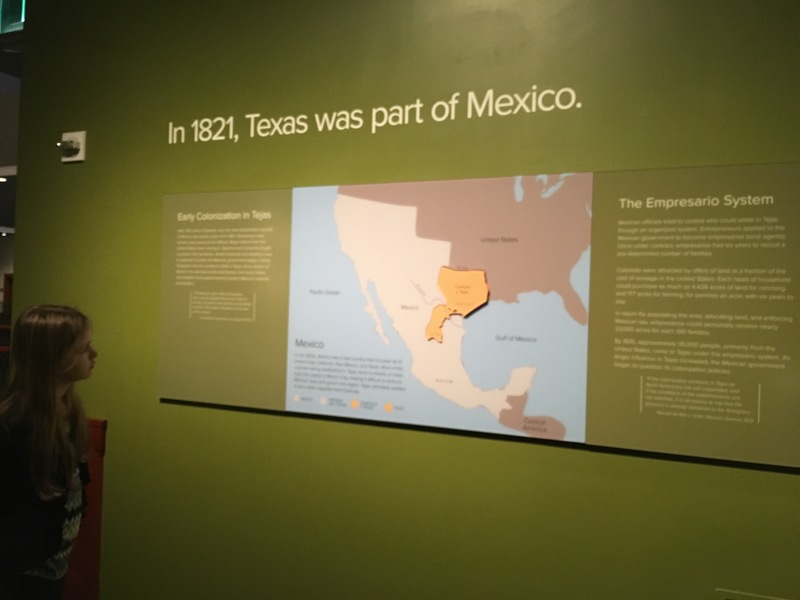 On the second floor we explored the history of Texas’ relationship with Spain, Mexico, and the United States. As well as how the economy grew through immigration, the legacy of slavery, the fight for justice and civil rights. 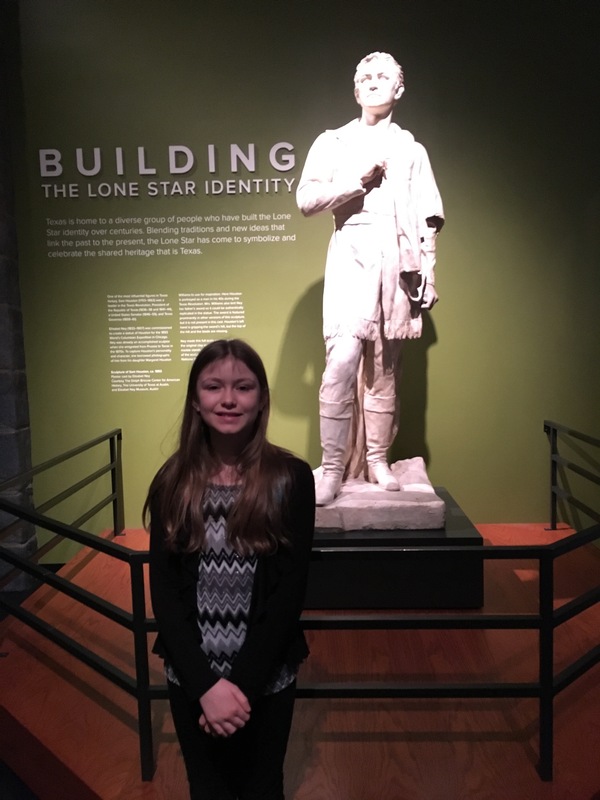 Here is Madison with a statue of Sam Houston. 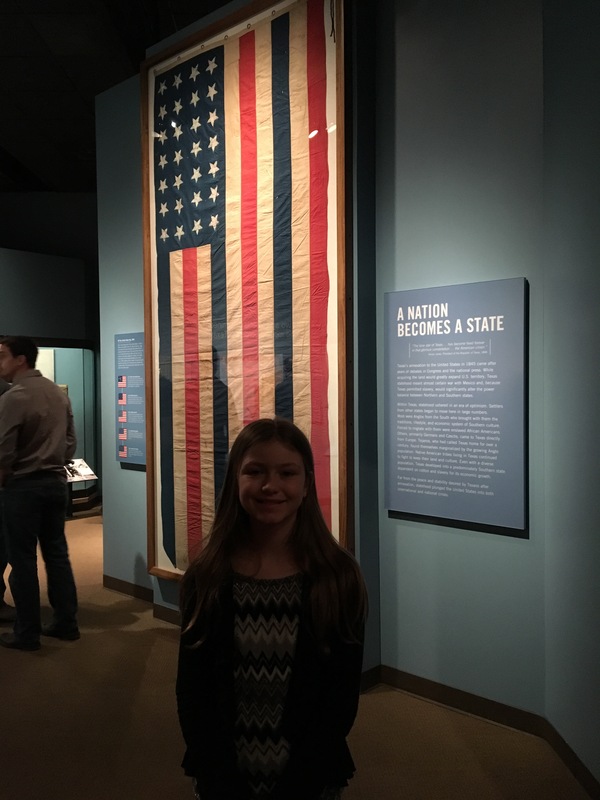 Madison learned about how Texas became its own Republic and then became a state. 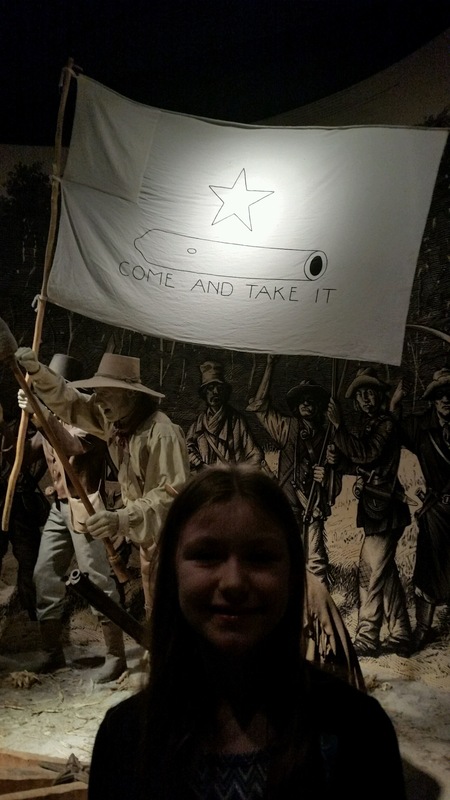 Madison had read about this prior to our visit, so she was excited she recognized the Come and Take it flag. She was surprised at how small the cannon really was. Here is the story behind the Come and Take it flag and the cannon. 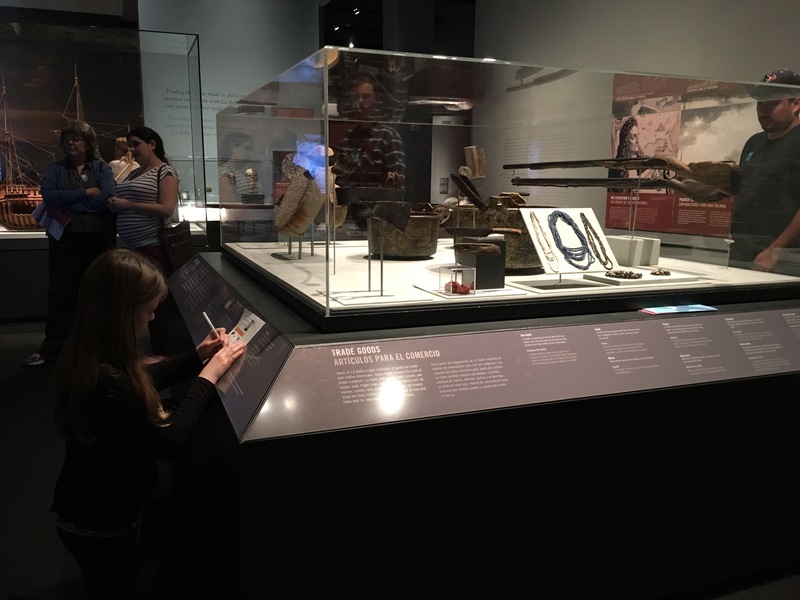 In this section, Madison learned about the Texas Revolution. Behind this display of the Alamo they had a great short video explaining the history through the words of the only Texan to survive. 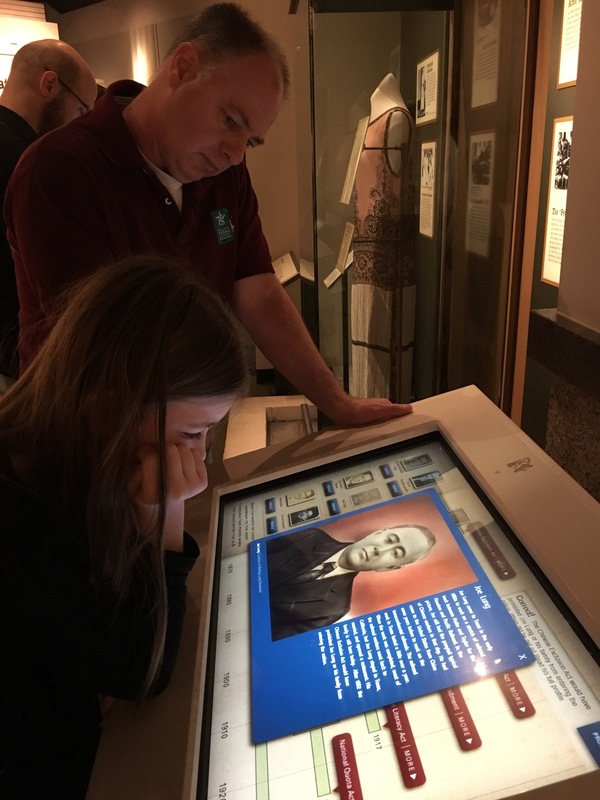 Madison learned how cotton was like white gold in Texas and its importance to the state’s economy. 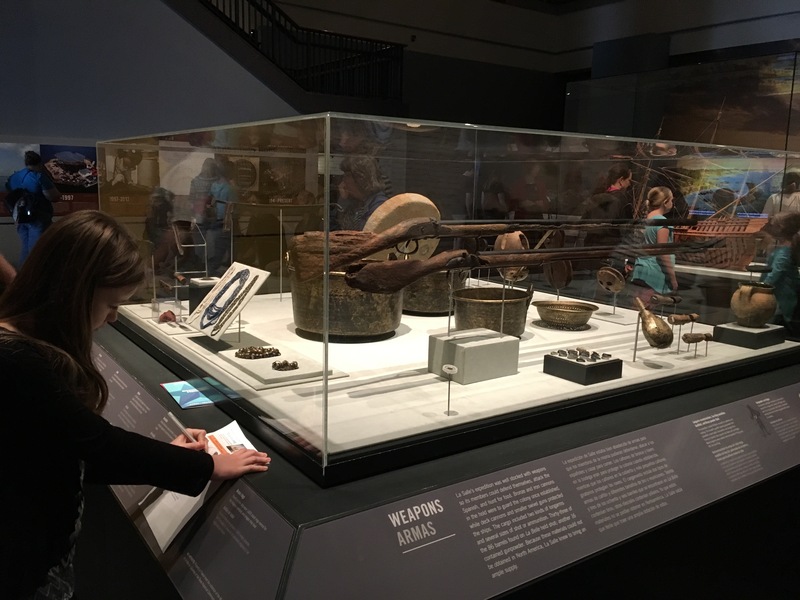 The Bullock Museum has interactive learning as well. Here Madison is learning about 6 historical figures and placed them on a timeline by historical events. 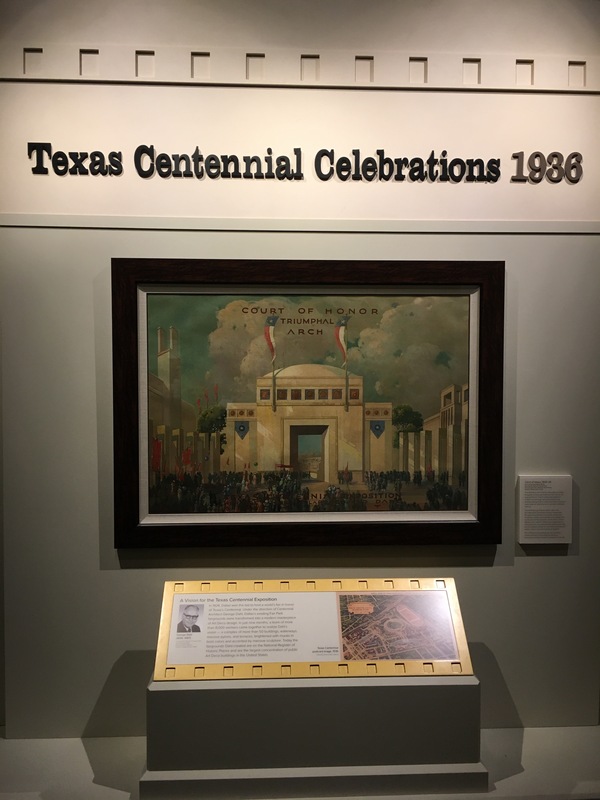 Madison watched a video where she realized the 1936 Centennial Celebrations was at Fair Park. It was really neat to see it during that time period. 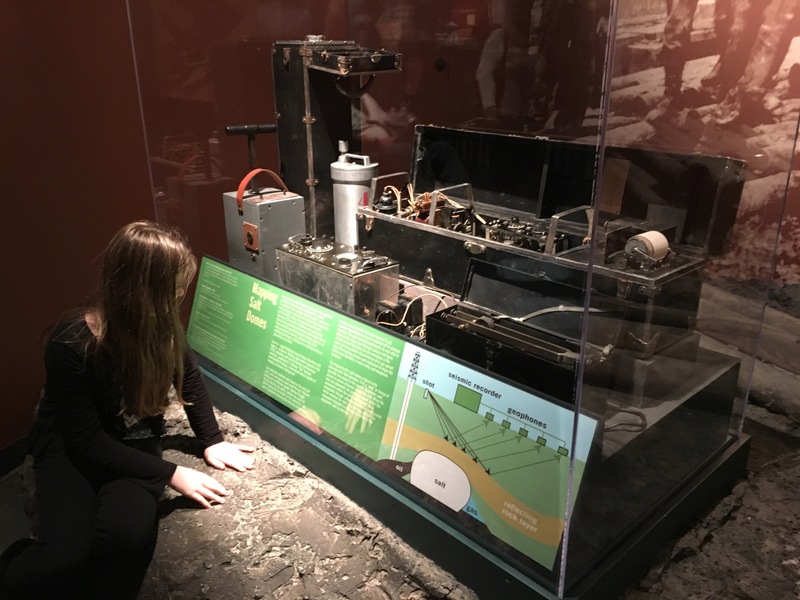 On the third floor Madison discovered how ranching, agriculture, oil, war and technology shaped Texas in the 20th century. We also watched a film on how the Hollywood cowboy legend developed. Madison also learned all about oil and its importance to Texas. 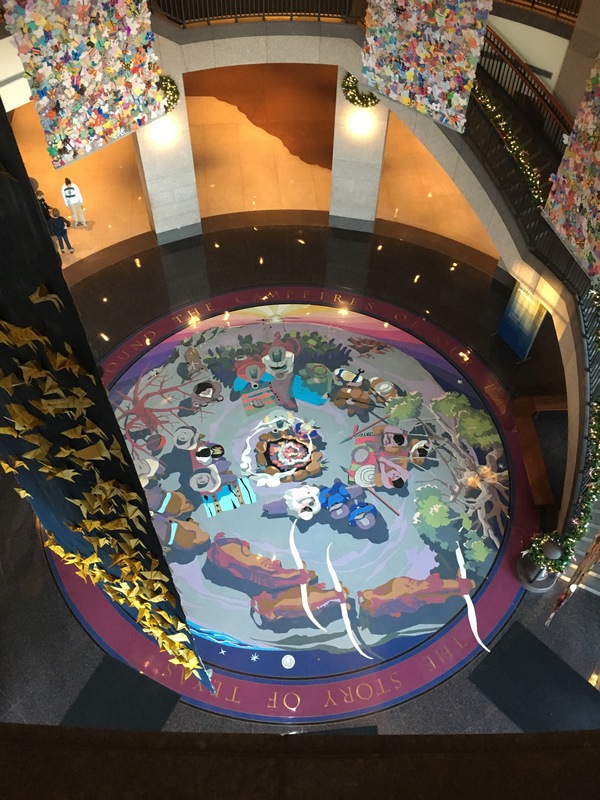 The mosaic on the floor in the entrance of the museum shows many people, plants and animals that are important to Texas history. 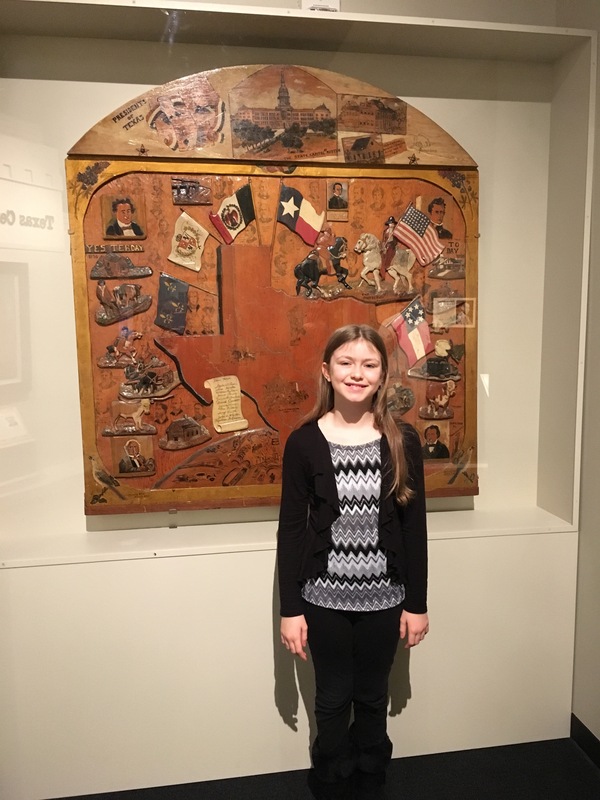 Madison identified the Conquistadors, Vaqueros, Buffalo Soldiers, Women Air Force Service Pilots, Frontier Folk, American Indians, African Americans, Texas Rangers, Missionaries, and Cattle Folk. Also on the third floor there are many flags from different decades on display. They were really neat to look at. They even had the flag from Bull Run.